If you're looking to thoroughly clean your granite, marble, or concrete floors, use our abrasive floor scrubber brushes with thicker, stronger bristles. 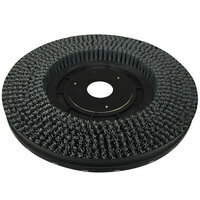 We also carry auto scrubber brushes made for light cleaning. 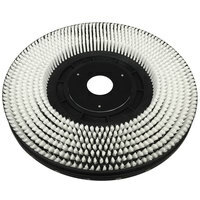 They feature softer, more pliable bristles that will gently buff away any marks or dirt on your floors. These items make cleaning more effective and improve the appearance of halls, foyers, and open rooms in any hospitality, food service, or business setting. 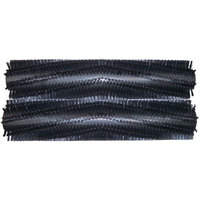 Our auto scrubber brushes are designed for durability and feature bristles made of nylon, soft poly, and other synthetic materials to provide the best cleaning potential. These brushes can clean any small room or long hallway without wearing out, making them ideal for large rooms like gymnasiums, cafeterias, and big lobbies. For more floor care essentials, make sure you check out our floor scrubbers, rotary floor machines and pads, and floor scrapers. 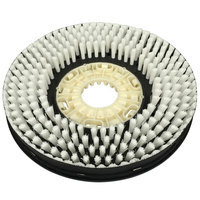 If you're wondering where to buy minuteman auto scrubber brushes, we have a large selection of minuteman auto scrubber brushes for sale at the lowest prices.